CorrLinks is an email system used by federal prison inmates to communicate with their friends and families. From within the belly of the beast, federal prisoners are largely cut off from the outside world. While some subscribe to mainstream publications and newspapers, prisoners are increasingly coming to rely on Corrlinks.com news services which deliver news articles via TRULINCS computers in their housing units. Where does CorrLinks come from? Founded in 2008, CorrLinks is a private company that runs the federal prison Trust Fund Limited Inmate Computer System (TRULINCS), which inmates use to email their friends, families, and others outside of prison. The name CorrLinks blends corrections and links, alluding to internet links and TRULINCS. Not all inmates are given access to CorrLinks based on their crimes, but the many who are pay a fee per message, usually around $0.25–0.30. Their friends and families on the outside aren’t charged, but must use a special CorrLinks account to communicate. 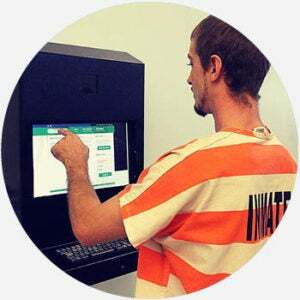 CorrLinks doesn’t permit images or attachments, and all correspondence is monitored, so delivery of messages to and from an inmate is delayed. Since 2008, CorrLinks has added a news service inmates can subscribe to—many of which offer legal, judicial, and correctional news for inmates who want to know about the latest laws and cases. CorrLinks has notably appeared in hip-hop songs by artists who have served time or who are critiquing the mass incarceration of black male youth. Rapper Kodak Black brought the term into the mainstream with his 2017 single, “Corrlinks and JPay,” where JPay refers to a money-transfer service for inmates. In the prison community and among their families, CorrLinks is familiarly used for the service and has even become its own verb, to CorrLinks (someone), like to Google (something).